Animals getting under the hood of your car is dangerous for both the animals themselves and the well being of your vehicle. Creatures such as, squirrels, rats, martens, and even cats have been known to crawl inside cars due to the enticing heat of an engine. While inside they have the potential to cause substantial damage to cables and parts. 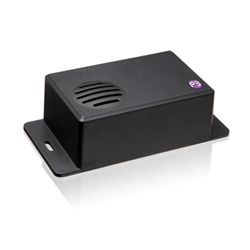 The Under Hood Animal Repeller is a battery operated, weather resistant device that can be easily mounted within any car, tractor, snowmobile, boat or other vehicle. The unit produces powerful sound waves that are very irritating to small animals. Random blasts of this high frequency sound keep pests from getting comfortable insuring that they move on and leave your car alone.